The United Nations Programme on HIV/AIDS (UNAIDS) said it is putting in place an agenda for change to transform the UNAIDS into a model working environment for all staff. The UNAIDS said the transformation is to ensures safety and inclusivity to upholds the highest standards of accountability and integrity. The agenda underscores that harassment, including sexual harassment; bullying and abuse of power at any level will not be tolerated, adding that perpetrators will be held accountable for their actions. The agenda is based on a survivor-centred approach to harassment and will ensure that all staff are trained, equipped and supported to call out incivility, sexism, intolerance and other undesirable and unacceptable behaviours. “It will strengthen management systems to fit the demands of a decentralized organization and ensure that decision-making happens at the right levels, with full transparency and internal controls for compliance with policies and standards,” a statement from the UNAIDS stated. The agenda builds on a strong body of work already under way to create a model working environment and draws on recommendations made by an Independent Expert Panel. recommendations on how to further strengthen the implementation of UNAIDS’ zero tolerance policy on sexual harassment. The Panel’s recommendations and the UNAIDS Secretariat management response and agenda for change will be presented to the UNAIDS Programme Coordinating Board on the first day of its 43rd meeting, which will take place from 11 to 13 December 2018. 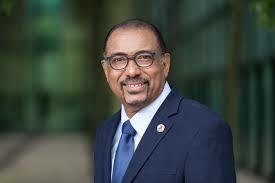 “Driven by the AIDS crisis, UNAIDS has been a model for harmonized, system-wide efforts in the United Nations. 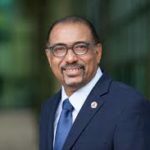 Today, inspired by the #MeToo movement, we aim to be a model workplace, for the United Nations system and beyond,” said Michel Sidibé, Executive Director of UNAIDS. governance, management and capacity. Each area outlines a set of actions the UNAIDS Secretariat will undertake. In line with its staff-centred approach, the agenda for change will include active bystander training to ensure that everyone in UNAIDS feels equipped and supported to call out incivility, sexism, intolerance and other undesirable and unacceptable behaviours. It will also establish mechanisms for confidential referral to survivor-centred counselling, expand the cadres of Dignity at Work Advisers and provide skills-building for all staff on preventing and addressing harassment, ethics and integrity, knowing your rights at work, diversity and inclusion. A key component is the recommendation by the Panel to establish an external and independent investigation, disciplinary and redress system, and UNAIDS will work with stakeholders, including survivors and women’s rights experts, to examine options to take this forward. UNAIDS will be strengthening its senior management capacity by implementing a new process for the selection of UNAIDS Country Director positions, which it will look to expand to all other senior director-level appointments. This will ensure that UNAIDS’ leaders have the right mix of skills and experience to manage staff as well as skills and experience in technical areas.